What makes a great community? A community you are proud to call home. To me the answer to this question begins with fundamental public services like strong schools, clean and safe parks, and well trained, equipped, and staffed police, fire, and emergency services. Show me communities with strong schools, low crime, accessible recreation, and responsive emergency services and you’ll likely be showing me a great place to live. A place where people are moving to, not from. A place where a sense of community thrives. A place where responsible, rational people who understand the importance of strong public services are willing to invest some of their hard earned dollars in the asset of the community in which they live. A place where people are connected, protected, and focused on building for the future. Now think for a second about places you know that lack quality basic services. Communities where you would not be comfortable sending your kid to school. Communities where the parks are not clean or safe. Communities where there are not ample fire and emergency services. Communities where people want to move from and not to. Communities are about choices. We can choose to pay no taxes for fundamental public services. We can choose to keep the money that we work so hard for and tell the schools, parks, police, and firefighters we don’t value them and don’t want to pay for them. We can choose to keep our money all to ourselves and invest nothing in our community. Yet, just because we can choose to keep our money, does not necessarily mean we should. Remember, you get what you pay for. If you invest nothing in your community, you will have an investment that is worth precisely that – nothing. Houses worth nothing. Schools worth nothing. A sign by the roadside with the name of a town worth nothing. In choosing against funding fundamental services at the local level, community dies. Without fundamental public services, what once was a thriving community quickly changes into a sad place where people used to want to live. 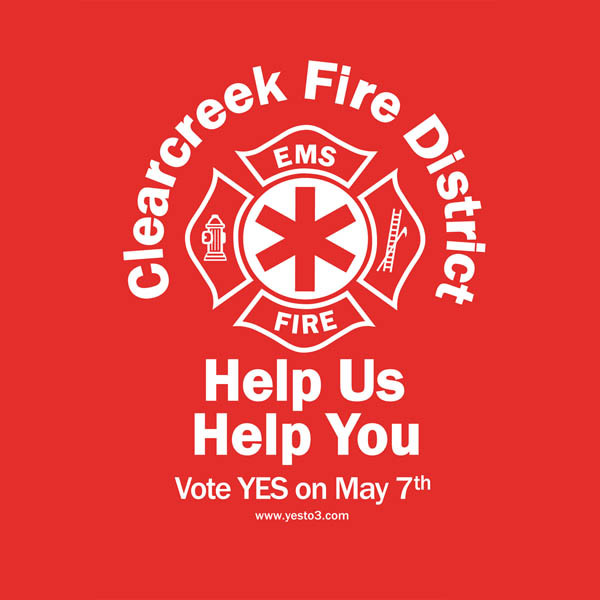 On Tuesday May 7th, people in Springboro and Clearcreek township get to make a choice. That choice is Issue 3, the levy that would help our fire and emergency services address the needs of a community whose population has has grown by over 40% since 2001. You can choose to invest what approximately amounts to the difference between buying a tall or a venti cup Starbucks drink each day and ensure that people in our community are safe, or you can keep that money to yourself. You can choose to invest less a fraction of what you likely spend on your cell phone or cable television per day to ensure that we have emergency services that are adequately staffed, possess necessary equipment and facilities, and can quickly respond to save lives and to protect our community or you can choose to keep your money to yourself. You have every right to choose either option. I am choosing to vote yes! There are all sorts of economic and ethical arguments for funding community services, some of which I have tried to articulate in the paragraphs above. To me there is another reason – it’s personal. I will never forget the night when my son, a baby at the time, collapsed unconscious in my arms and stopped breathing. I was terrified and the only thing I could think to do was call 911. When we called emergency services, they answered, they responded, and they showed up in minutes to help. Today, he is alive and well. That moment, and others like it, have made me glad that I chose to live in this community. A community with people who care and services that make it a great place to live. Now when the firefighters and emergency professionals are calling for my help, I know that the right thing to do is answer, respond, and show up to help them. I am choosing to vote yes on issue 3. I am choosing to invest in my community.